Cincinnati Bengal WR #85 – Ocho Cinco showing off the body. 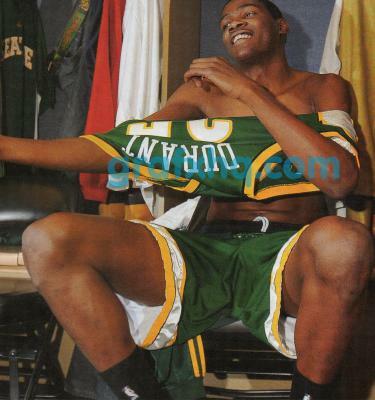 Supersonics Forward Kevin Durant changing his jersey in the locker room! These are some low quality screencaps showing richard hamilton aka rip hamilton abs.